Students and their investment goals – Are there any apps to help the lot? You can’t deny the fact that the world is a harsh place and there are numerous people who could possibly sell you magic cat dung and nail clippings if they could easily get away with that. Sadly enough, the financial industry is full of such opportunists who are more interested to dupe you into accepting something that is of no use to you. They can disguise their feline faces to look and smell sweeter than a bunch of spring flowers. As far as students are concerned, they’re more vulnerable to such shady tactics and hence they are the best target for the financial companies. You have to be sceptical about almost everything that a person tells you whenever they’re offering you monetary advice. Read on to know more on students and investment.
? If you’re starting off with small capital, you should get a broker who will agree to accept that amount. Later on, you may increase the total capital by investing more funds on a daily basis.
? Calculate and be sure about the total amount of money which you’re willing enough to risk. Don’t forget that investment will always involve risk and hence you should know your risk tolerance ability.
? There are financial vehicles which guarantee profits and provide students with minimum risks. CDs, Federal savings bonds, and even the student savings accounts which are approved by FDIC are all there. You should be smart about deciding.
? In case you’re able to take on risk and invest for a longer period, you can choose mutual funds of ETFs. Mutual fund companies collect the money and manage them for people for purposes related to investment.
? Perform a background research of the company. Research on the past performances and you can take a better decision about the company you choose to invest in. Over the last few years, M1 has become one of the most favorite platforms as they offer commission free investing, the capability to invest in several shares and they also offer you automatic deposits. All these make M1 Finance one of the best apps for students. This is yet another popular and famous app which lets you invest for free. Fidelity is an app which provides you with a wide array of commission-free ETFs which allows majority of the investor to build an investment portfolio which is perfectly balances. You don’t require any minimum amount to open a Fidelity IRA. Robinhood is an investment app which allows you to purchase and sell off stocks for fee. Users are allowed to purchase or sell stocks at the market price and this app makes limited orders and also stop-loss orders. If you’re not an active trader, then this app will have too much functionality for you. Therefore, being a student, you have to be careful about the investment steps that you take. Your savings is limited and hence you can’t afford to incur losses. So, take into account the above mentioned tips and apps. There is very less risk involved if you park your finances in safe investments. This kind of investment is suitable for people who are retired and those who do not prefer to take risk. Also, there are several individuals who do not have the desire to take risks and due to this; they go for few of the finest safe investments in India. It is a common myth that for investments to be profitable, it must be done over an extended period of time. How-ever, this does not imply that short term investment is completely futile. The investments are done on short-term, usually ranging from 1 week to 3 years and they are suitable whenever an investor is willing to make the most of sizable funds which he/she is eligible to spend in the near future. This investment when carried out through safe options guar-antees good returns. Fixed deposits are made available in different forms and they are available for a period as less as a week. Such investment options are registered as short-term FDs inside the banking web portals and they are perfect for transitory savings. In this, the interest rates are less but better when compared to that of savings account, also the interest rates rise with tenure. It is found that KTDFC Deposits are one of the finest short term investment options be-cause company deposits are not protected and KTDFC Deposits are assured by the gov-ernment of Kerala. Basically, KTDFC is an enterprise owned by the government of Kerala. In this, the interest rates provided usually fall in the range of 8 to 8.5 percent. You can choose these deposits for the purpose of safety and for getting decent yields on your deposits. It is important to note that there will be a TDS that is valid for any interest ex-ceeding Rs 5,000. It owns different branches in Kerala from where you could post your forms. You don’t need to be concerned about safety because the deposits are supported by the govern-ment of Kerala. The interest is the best that one can presently get. It is vital to note that interest rates are headed higher, therefore, it would be reasonable not to invest money for long tenures. Debt instruments are available in an extensive range including Bonds (Sovereign and Corporate), Government Securities, Treasury Bills, Commercial papers, etc. They carry average risk, provide improved returns than FDs, and they come with comparatively long duration. However, they can be executed over a specific tenure with expected returns. Of them, few are tradable as well. The underline of the latest monetary policy was a boost of 0.25% in Repo rate and li-quidity neutrality. It is anticipated that this must support the Bond market as well as in-terest rates of approximately 8% on the cards. Moreover, it must enhance the returns for people looking to do investment in these instruments. The aim of this short term investment–Short Term Mutual Funds is to protect investors and earn moderate gains. As compared to few FD instruments, the returns are better. However, they are subject to market risks. The returns fall in the range of 6% to 9% for investment window varying from 18 months to 3 years. The aspect makes it a wonderful instrument when you intend to save for marriage, children’s education, etc. It is found that funds like HDFC Mutual Fund and ICICI Prudential provide Fixed Maturity Plan Mutual funds that are quite convenient for people looking for good returns. Fur-thermore, they come with better susceptibility for risk because their performance can be effortlessly tracked. The funds can also act as an amount for emergency funds. Making an investment in safe debt mutual fund schemes guarantees you to provide ex-cellent investment prospects for the medium to long-term perception. Debt mutual fund typically park their money in secured government bonds, commercial paper, debentures, etc., which makes them safe naturally. The FMPs (Fixed Maturity Plans) generally have tenure of less than 1 year. Basically, these are mutual fund units which are considered secure, because the amount is capita-lized in safe AAA rated instruments. Whenever you wish secured and finest investments, it must not be a bad idea. If you can invest for minimum 1 year then and only you could perceive certain benefits in matters of profits. These are short term investment which is regarded as safe. It is important to remember these are essentially not tax-free investments and thus they are completely taxable for the investor. Therefore, to that extent, the returns are slightly reduced. The investments made into these funds are generally safe because they capitalize only in highly rated government paper. It is necessary to note that unlike FDs they do not assure any interest rate, an investor needs to consider their previous track record, investments did, etc. to assess the interest which can be earned. The investment option can serve as a recommended option in an increasing interest rate cycle because investors can lock in high rates. Furthermore, FMPs are thinly traded on the stock exchanges, and investors can get their way out through this route if needed. These kinds of FDs are secured and also provide excellent interest rate. It provides an interest rate of 8.75 percent when you apply online. It comes with tenure of 33 and 40 months. Moreover, the 15-month deposit brings you an interest rate of 7.95 percent. This is acceptable if you consider a declining interest rate system that we are presently living in. Moreover, an individual can also focus a few of the secured small finance banks, from where you can obtain interest rates reaching up to 9.50 percent. The investment option is safe because it was recently provided a license by the Reserve Bank of India. Majority of people struggle to fulfill their financial needs for short-term and therefore they go for safe and short-term investments in India. These options are safe by nature and also they are accomplished to meet the financial goals in near future. Long before inflation strikes you, you should prepare yourself with the ways in which you can stop inflation from hurting your wealth. One of the biggest risks of long term investing is inflation along with taxes, costs and volatility scaring you out of the market. Investment experts often consider equities as the best form of long-term investment and this is only due to inflation. Bonds and cash can at times seem more likely to earn higher income by incurring a very less risk. However, history shows that equities always perform better through many decades and hence they are a better defense against the harsh consequences of inflation. But what if you wish to take short-term action against inflation and prevent it from hurting your wealth? What steps would you require taking if you are eager to balance your portfolio towards that direction? One of the options to go for are equities. What are the other ways? 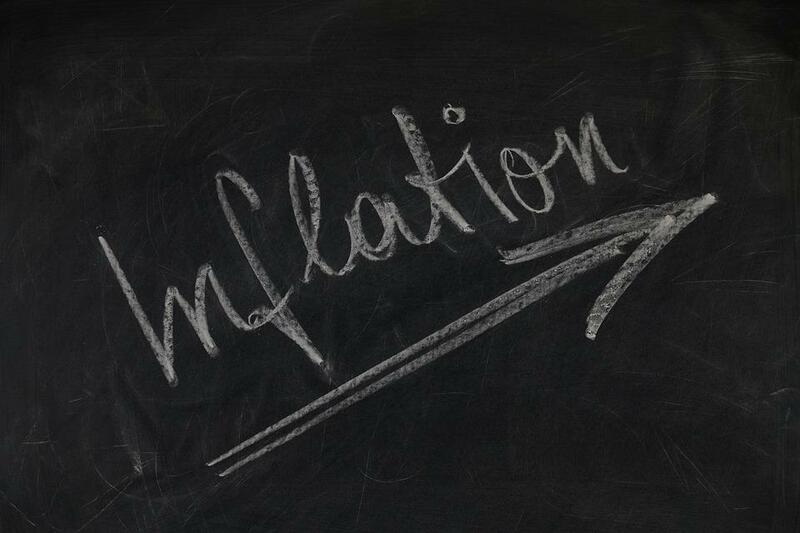 Here are few ways of beating inflation. In case you’re someone who is making 2% on the cash savings and you see that inflation is running down your selected measure at 3%, then as per real terms, you will actually lose 1% a year, despite the fact that the balance in your account will be moving up. Do you know why? Well, it is because the power of your cash to spend will get declined in real-time. If the chosen asset cost you $1000 to buy whatever you wanted to purchase in a year, the following year it will cost you $1030 only because of inflation. At the same time, the growth in your savings will be $1020 which is not at all good. You might also require locking your money either for a year or more than that to earn sufficient amount of savings. The next thing that you need to consider is whether or not you are best utilizing the tax havens or tax shelters of ISAs to safeguard your cash savings or the equities. You should definitely be doing one or the other. If you’ve been getting a 2% return on cash, it will soon become 1.7% return post deduction of taxes and it may even become 1.2% if you pay a rate of 40%. Such tax reductions make it tougher to beat the impacts of inflation. Unless you seem to have utilized all the shelters, don’t endure them. If you have been safeguarding your money from simple inflation with the help of a 100% federal backed guarantee, then choosing National Savings certificates are probably the best options. They are bonds which are issues for the mass by the Treasury Department through its arm called National Savings and Investment. These certificates come in 3 and 5 year types but you can cash them out any time and they can guarantee you return more than RPI inflation. Don’t forget that the return is tax-free. Therefore, if you’re eager to save your wealth against the upshots of inflation, you can take the above mentioned steps that are listed. Investing is a word frequently used by the rich and famous. They take their funds, place it in the trust of a company or business, then expect to see some returns in the future in order to make more profit and support something they believe in. Whether or not it works, they usually get something out of the investment and their overall aim is to increase their funds. It goes without saying that you have to spend money in order to make money, and investing is the most common example of proving that point. However, investing is usually something that can only be done if you already have a considerable chunk of money. This is because investments like starting a business, real estate or even stocks and shares can be relatively expensive and risky for first-time investors. As a result, the average joe can’t actually invest in anything and their income will come purely from their job. This can put many people off the idea of investing because they think it involves a lot of initial startup money, but it’s actually possible to invest money even if you aren’t already well off. 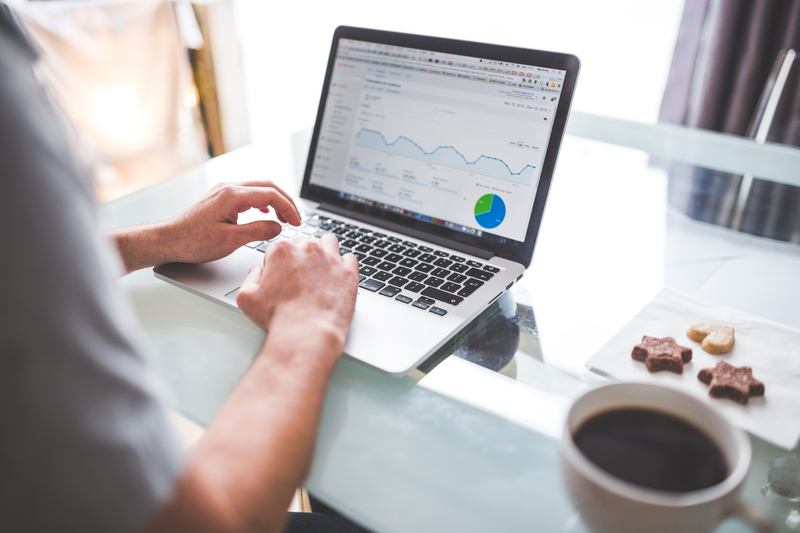 So to give you some advice and a few ideas, here are investments that everyone can get involved with regardless of if you’re an average joe or a wealthy individual looking to extend their wealth. Whether you’ve bought a home recently or if you’ve come into possession of one, having an extra property can be a huge opportunity to start something big. The first obvious way to invest is to clean up and decorate the home to make it worthy of renting out to paying tenants. This usually needs to be done through a real estate agent, but there are times when you can do it on your own if you have sufficient knowledge. If you want to get on the property market, then the other option is to flip your home. Websites such as flippinghouses101.net are perfect for helping you out with house flipping and the concept behind it. It’s the perfect way to start an investment portfolio and the flip can sometimes give you more than double your initial investment back, resulting in some tasty profits that are sure to win your attention. It’s the perfect investment to get started with if you’re lucky enough to come into possession of another property, but it’s also possible for people who already own homes to take out another mortgage for the sake of owning a seconding house to use as their stepping stone into the property development market. Although it’s a difficult investment to start up due to all the knowledge required, starting up a business or founding a business with someone could be a fantastic way to invest your money. If you have a business-savvy friend that knows what they are doing, then you could become a partner in starting up a company with them and being the person that funds the operation. It might seem one-sided, but if you’ve got plenty of savings and you want to watch it grow, then you need to work with the right people to make it happen. Starting a business is difficult because of all the different factors involved and you’ll essentially be giving your money to someone and hoping they know what they’re doing. Alternatively, you could take your money and start your own company, but you need to be mentally prepared for the challenges you’ll face, and there’s always a chance that you’ll fail and lose your initial investment. Make sure you come prepared by reading plenty of articles like this one at entrepreneur.com and invest a lot of your time into learning about the market you want to start a business in. Another form of simple investment that everyone can get involved with is peer to peer lending. It’s also known as social lending in some circles, and it essentially means that you’ll be lending money to people directly instead of doing it with a bank as a middleman. It boosts the amount of interest you get on your investment (much like a savings account but with higher returns) and for the one borrowing money, it reduces the interest rates on small and medium sized loans. This makes the act of lending and borrowing more enticing to people since they don’t need to do it through a bank. It’s also much more personalised than lending your money out via a bank since you’ll get to know the person you’re lending to. This could give you some sense of satisfaction knowing that you’re improving the life of someone, as opposed to your money going to a corporation you don’t support. As we turn the calendar to the New Year, 2017, this is again the time of rigorous speculations about what is going to come in the New Year. As we know that there are no crystal ball experts out there, predictions are often funny to us and we mostly love to read them, even though we have it at the back of our mind that the predictions are wildly incorrect. In fact, if so many expert politicians and doctorates couldn’t predict the winning of Donald Trump based on the data in their hand, why should the world even bother for the other opinions given by any other analyst? Check out some unpopular and creepy predictions for 2017. Yes, if you have seen that news in headlines, don’t ever both to click on them. Twitter (TWTR) is nothing but a money-losing product which shows no signs of growth along the path and their part-time CEO isn’t a material for initiating change. Hence the best that could happen with Twitter is a noble purchase by some non-profit group in order to save it from the trash but unfortunately, this $15 billion acquisition isn’t going to happen soon in 2017! All of us love to go through a well-written tech post and if you go by the reports, VR or Virtual Reality was probably the most overhyped and overused tech of 2016. This was probably possible due to the 180% run in shares of Nvidia NVDA and also the buzz in augmented reality of Pokémon Go. Sadly, tech bloggers always give way to something new and shiny and this year, it’s going to be the year for Artificial Intelligence (AI). The Dow Jones Industrial Average DJIA is at 20,000 and the market has priced a business-friendly environment in Washington with high hopes of moderate global growth in the New Year. Valuations are also at their highs and corporations can keep investing over a long term growth to profits and revenues. There may be few good alternatives to US stocks which might add some percentage points. The labor market fully participates with the companies but the employers currently don’t have enough pool to draw their applicants from. If the Republicans go tough with the sources of immigrant labor as they had resolved, it would be rather impossible for the unemployment market to see a better and prospective future in 2017. You would wonder that the news of Donald Trump would give you some sort of tax reforms but if the members of GOP think similarly, you perhaps didn’t pay attention to what the President is planning. In between the Tea Party and the establishment and between moderates and bright red states, the legislators wouldn’t possibly be able to do anything regarding the tax policy. Therefore, if you’re a non-believer of all the nonsense, the stock market and the US would definitely be better than what it was 2 years back. Don’t fall for pessimism and the fear that keeps mongering momentarily on Facebook. So, You Want To Get Started With Investment? Have you ever noticed that your money seems to disappear? You can’t keep track of it – it goes and you’re caught short between paychecks. If this is you, you need to take your money seriously. Track your spend, open a savings account, try to leave a small amount of money at the end of each month and deposit this in your savings account. Have you done it? Congratulations, you’ve just made a budget and an investment! This is key. But do you want to take it further? Good! Investment is something that can secure our financial future and ensure we are never in a difficult place. But there are so many questions! Do we simply save in a standard savings account? Do we find an investment fund to invest in? Do we take an educated gamble on the stock market or so we put our money into a workplace pension? One thing, though – you need to understand that you cannot outsmart the markets you are investing in, despite what some might be far too eager to tell you. There are probably three people in existence that can outsmart a market, and the big chance is that you aren’t one of them. If you try to outsmart the market, others will benefit from you at your cost. Always make sensible decisions with your money and invest wisely at all times. If you want to play it really safe, invest in property. It could be the best decision you could ever make in terms of money. Income from rental can pay off a mortgage and put cash straight into your pocket. It’s not a gamble at all unlike the stocks. You should never rest on your laurels, though; the property is a physical thing that exists for you to improve. If a property falls apart on your watch, the dream is over. Don’t be negligent with your property. Recently, Mark Cuban, the billionaire entrepreneur and maverick did an interview for Business Insider. He told the online news outlet that he thought at investing in the stock market for the vast majority of people was a seriously bad idea. At any moment, he said, the stock market could undergo one of its flash crashes, and all of an investor’s gains could be wiped out in an instant. Cuban, of course, is referring to the situation many investors found themselves in during the flash crash of May 6 2010, when in the middle of the afternoon, the US stock market lost over a trillion dollars in the space of a couple of minutes. The market did eventually recover before the close of play, but it got investors all over the world wondering what the heck had happened and how so much value could be wiped off the stock market in a single event. It turned out that the flash crash was caused by algorithmic malfunctions, where simple computer programs were blindly carrying out rules for their investors, without really thinking about whether their decisions to buy or sell made any sense. Cuban’s take away from the whole incident was that, for the average investor, plowing money into the stock market was a bad idea. He’s not alone. Recently, there’s been an upsurge in the number of people expecting there to be another crash at some point in the future. The president elect himself, Donald Trump, has frequently predicted that the stock market is in a bubble, which appears to be reaching new heights since the billionaire real estate mogul won the election on November 8th. This has led many people to try to find assets to invest in that aren’t at risk of crashing in value in the near future. As this good guide on alternative investing points out, these assets have a low price correlation with mainstream assets, meaning that they don’t fluctuate up and down as the stock market moves up and down. That means that they are an excellent choice for people who don’t want to just stuff money under their mattress. So what are they? Fine art has historically been a form of alternative investment because the value of fine art doesn’t tend to go up and down with the values in the stock market. It does, however, tend to track wealth, which over the course of the second half of the twentieth century, increased dramatically. According to the Mei Moses Fine Art Index, the value of fine art rose by a staggering 10.5 percent per year during the latter part of the twentieth century. That means that it actually outperformed practically every other form of mainstream investment out there. It’s worth noting, however, that those are average gains. Despite the fact that the market for fine art doesn’t usually track the stock market index, it is subject to its own fluctuations, which can on occasion, be dramatic. For instance, sales of fine art were booming back in the 1980s, thanks to a new class of investors from places like Japan and Taiwan. But then, once the recession of 2008 hit and trillions of dollars was wiped off the value of some of the world’s wealthiest investors, prices in the fine art market tanked. Those who want to get into the fine art market should start off with a minimum investment of $10,000. Any amount less than this, and you risk buying a piece that might lose its value. Some new investors buy pieces of art for as little as $500 if they believe that they have found an undiscovered artist whose art will increase dramatically in price in the future. According to Reiss, wine investors can make a healthy annual return of anything between 6 and 15 percent per year. The good thing about wine investing is that the scarcity of wine increases considerably over the years. Investors who manage to hang on to vintage bottles of wine from allegedly good years tend to see the value of their wine increase are more of the existing bottles are opened and drunk. According to Opdyke, wines from the Bordeaux region of France tend to make the safest investments. They are highly prized by collectors, thanks to the quality of the wine making in the area, as well as the fact that the quality of wine from each season is well chronicled. Other highly collectible wines include Burgundies, Super Tuscans from Italy, and Spanish reds. Investing in fine wines isn’t just a matter of buying them from the supermarket and then just keeping them in the pantry. It’s a lot more sophisticated than that. Buyers of fine wines can tell if the bottles have been stored incorrectly, and so investors need to invest also in the correct storage facilities for any wine they buy. Wine should be kept at a constant temperature, between 12.7 and 14.4 degrees celsius and at a relative humidity of between 60 and 75 percent. To make a return on wine investments, buyers usually have to buy a significant quantity, so it’s imperative that investors have sufficient storage facilities. Coins, yet another collectible, are a great way to store wealth, and perhaps hedge against future inflation. In general, there are two types of coins that investors can buy. The first are the so-called bullion coins, minted by national governments. These coins are made from either gold or silver, and their value is derived from the precious metal that they contain. Buyers can go to gold dealers and purchase these coins in exchange for regular, paper money. The other type of coin used for investment purposes is what are called numismatic coins. These coins may contain some precious metals, but this is not the primary source of their value. Instead, they are valuable because of their individual rarity. Take the 1918/7-D Buffalo Nickel, for instance. The coin itself has a face value of a nickel, but some of these coins have fetched as much as $285,000 at auction. As long as investing is concerned, millennials are infamous for their reckless attitude. According to a study by an eminent group earlier in 2016, Americans in between the age of 21 and 36 are the most financially orthodox generation since the time of the Great Economic Recession. The economic turmoil that they’ve been through since the recession has forced them to adopt a ‘better-safe-than-sorry’ attitude towards their finances. They seem to be always ready to face the unique challenges of the financial world. As the job market is more competitive than it ever was in the last few years and the newly passed-out college grads are saddled with the astronomical debt levels, it’s easy to conclude the reason behind millennials adopting this aggressive approach towards their handling savings. So, in case you’re a part of this breakneck Generation Y who’s ready to dip your hands into the investment world, you should remember a few basic points in mind. Check them out and try to follow them while making your personal investment decisions. Have you ever delved into the world of bonds, stocks and mutual funds ever before? If answered no and if this is the first time, it is pretty easy to feel overwhelmed by the large volume of investment choices that you’ll find in the market. Therefore if you find someone who can offer you rational and unbiased service on what financial moves to make is vital for your financial health. You might feel tempted to seek help of the financial advisor who helps your parents, but it is always better to take advice from advisors who specialize in advising people of the same demographic as yours. That you can’t afford to put off saving is one of the most vital monetary lessons that the millennials learned from the last recession. If you are still not shelling away a portion of your income on a daily basis, your first priority is to find out the most ideal investment vehicle. If your employer offers a 401(k), that should be a decent start for you. You can reduce your taxable income by investing in 401(k). Knowing the reason why people under the age of 30 aren’t engaged in any investment portfolio is a rather good way of gauging the difficulty of investing. One of the biggest reasons behind millennials not investing money is that they don’t have enough money or at least this is definitely why 54% of the surveyed millennials didn’t invest. The next reason is financial ignorance as more and more investors don’t have enough knowledge on what to do and what not to do. Millennials are that generation which have incorporated enough advances of the entire financial sector and they are also poised to reap benefits of the future advancements of this industry. Whichever store you visit nowadays, you will find the credit card processing machines and businesses which speak about 0% down payment loans. Hence, if you think you’re in debt at present, do everything that you think you can do to repay the debt. Once you pay off debt, get in touch with a credit repair firm to bring back your personal finances in order. Millennials are usually lucky enough to have the element of time on their side. You should know how to position your finances and grant yourself a safe retirement sans debt. Follow the investment tips listed above to make some measured and informed decisions. Is Buying Your First Home Really A Good Investment? Buying your first home will always be the biggest financial commitment you make. It takes months of searching for the perfect property, followed by weeks of form filling to get the mortgage in place. Every area of your financial life will be scrutinized, and you still may not get offered a rate that is affordable. It’s stressful, time-consuming, and hard work. But your time and energy aren’t the only things you’ll be investing in that property. Saving up to cover that minimum ten percent of the purchase price is very hard to do for young people today. Of course, that isn’t the only upfront cost you’ll be facing. There are legal fees, removal costs, and administrative charges to cover before you get the keys to your place. Even before you’ve moved in, you’ve already paid a lot more than your deposit. Now you’ll be facing twenty-five years of interest payments on the 90% you borrowed. Is it all worth it? Many would argue that having a roof over your head and that first foot on the property ladder is an investment in your future. You’ll have the freedom to change the style of your home to suit your tastes. You may even have the space to start a family. Is the home you live in a good financial investment, though? Is there any question that renting is cheaper? Unless you are making a substantial step up regarding the size of your home, it is unlikely that your rent is less than your monthly mortgage repayment. Many mortgage lenders look at this as part of your affordability checks. Buying wisely can help you maximize your investment. Start modestly. Don’t go for a four bedroom house if you only need an apartment right now. Do your homework. Check websites like www.searchbaltimorerealestate.com regularly to see what properties are on the market. Note the prices. Pay particular attention to the ones described as immaculate or impeccable. Compare them to the ones in need of modernization or refurb. If you’re willing and financially able to do some work, you could increase the value. Check with the agent what the ceiling valuation might be. If you can improve the property enough on a tight budget, you could make just enough to move up the ladder on your next purchase. Market prices fluctuate. It’s important to buy at the right time for prices, not just the right time for your housing needs. There are usually taxes to pay on your purchase. It’s worth keeping an eye on news that these may change. It might prompt changes in the market. Or it might encourage you to buy quickly. To make your property a good investment, keep an eye on local issues. You should be aware of political and environmental issues affecting properties you’re interested in. Buying a cheap property that requires a lot of work may be a mistake if you’re not skilled at DIY or building work. And buying an impeccable property now doesn’t mean it will still be in that condition when you want to sell it on. As with any investment, doing your homework can help reduce your risk. For anyone who wants to get ahead financially, property investment is a must-consider option. The reasons for this are many, and quite clear even to the newcomer. Done right, investing in property can reap some significant rewards with little effort. Of course, knowing how exactly to do it right is most of the difficulty for the majority of people. In this article, we are going to go through some of the key things that you should bear in mind when investing in property. No matter how experienced you may or may not be, these are bound to help. What are some of the secrets to investing in property and making it beneficial? For many investors, it is all about the immediate rewards. However, these people are unlikely to do well overall. The reason? The best investments all tend to be long term. This is particularly the case for property investment, where you have to think long term as much as you can. The benefits of doing so are practically immediate. When it comes to investing in property, it is highly unlikely that you will experience any returns before long. This is simply down to the nature of the industry itself. It goes without saying that people do not normally stay in houses only short term. Chances are, you will be waiting a while before you see anything back. However, this is also something of a blessing. The longer you have to wait, the more likely that the return will increase overall. Sometimes, having a little patience really does make all the difference. There are many different kinds of property you can invest in. What’s more, there are no hard and fast rules about what you should or should not buy. Really, as long as you can make it worthwhile, anything goes. However, there are certain types of property which give you a distinct advantage. A good rule of thumb for the beginner investor is to buy new properties wherever possible. It is not necessarily that new buildings bring more in returns. However, new apartments and houses are likely to need a lot less work. As a result, they are often the far easier choice to go for. Whenever you can, make sure that you look for new properties first and foremost. Of course, a lot of old properties do have significant value, so it is a case of comparing them as well as possible. A lot of people do find that investing in property is something of a mixed blessing. On the one hand, it can offer you a fantastic way to make some serious money. However, there is also a chance that you can end up destitute. Often, those belonging to the latter category do so because they did not have anyone to help them. One good piece of advice is to make sure that you don’t go it alone. No matter what kind of experience you might have, it is far too easy to make a mistake when you operate on your own. However, if you have at least one other person with you, then you are much more likely to succeed.